For many of us, our first childhood foray into construction was deciding what to do with the giant cardboard box that came in the mail. For some the box became a house, for others, it transformed into a rocket ship. The possibilities were endless, and the results were one-of-a-kind. Children, with their bold imaginations, are exceptionally good at upcycling, otherwise known as the process of taking something initially intended to be thrown away and giving it a new purpose. Within the construction industry, professionals are looking at their projects with similar ingenuity. 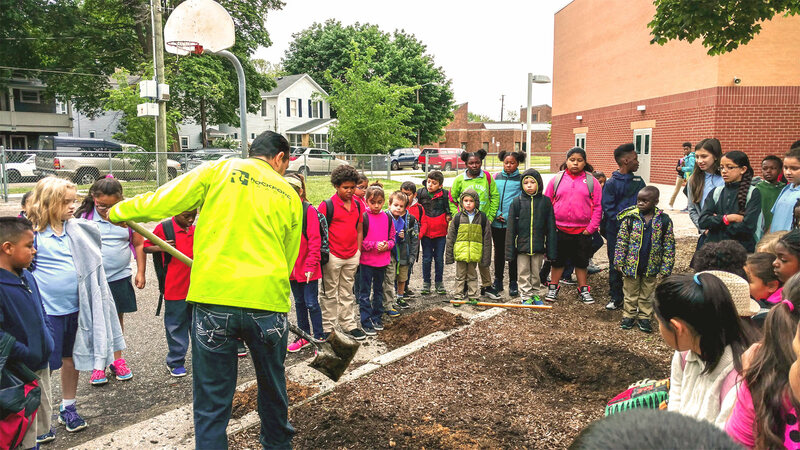 As Rockford strives to find green solutions within our industry, we challenge ourselves to think not only of the materials we need but the materials we already have and imagine the possibilities of what they can be. In the same way that each child’s cardboard box becomes a unique piece, incorporating upcycling into our projects yields spaces that are custom, beautiful and beyond our client’s expectations. For this structure, Zamudio cut and crafted the cedar to make the butterfly seem as created with a series of large popsicle sticks. 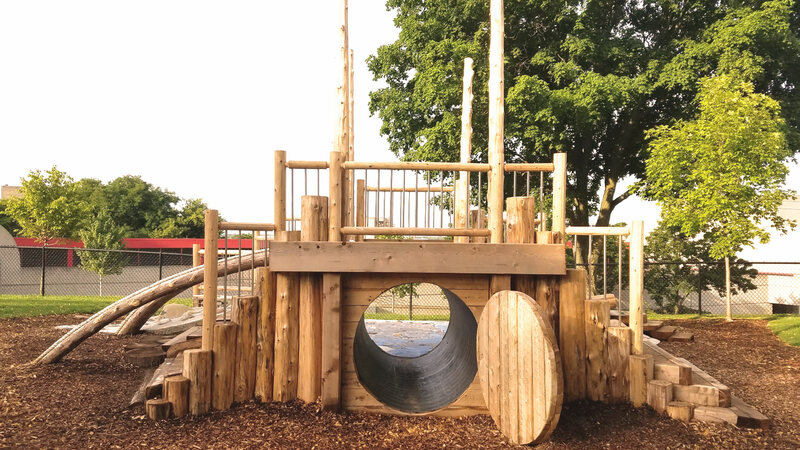 Some beautiful outcomes of upcycling sit on the playground of Grand Rapids Community College’s Laboratory Preschool, which began with a few big ideas and fourteen, forty-foot cedar telephone poles. 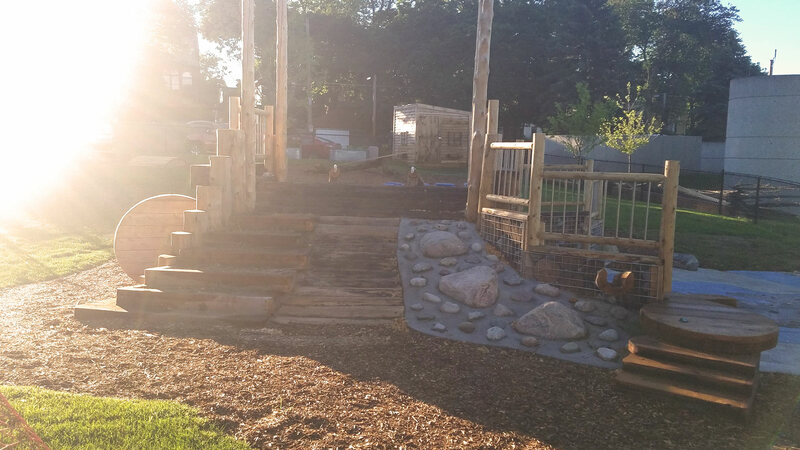 GRCC envisioned a “hobbit house” crafted from natural materials and composed of multiple climbing elements as the focal point of their play area. 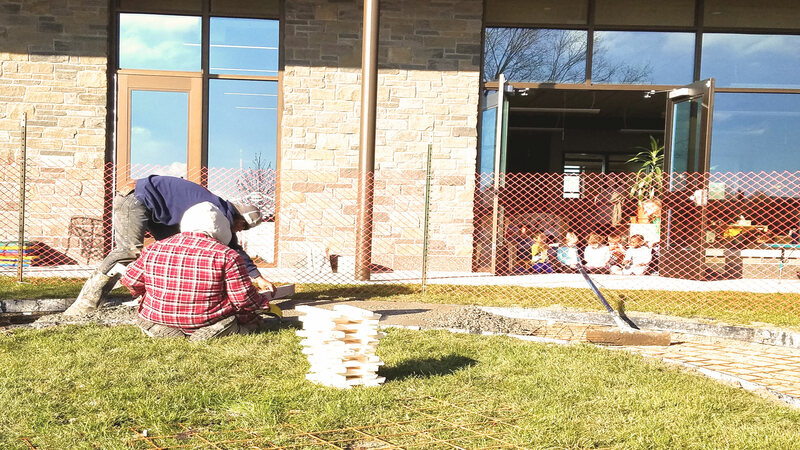 Fernando Zamudio, a talented and skilled carpenter on Rockford’s Trades team, utilized the telephone poles to handcraft a majority of the structure. 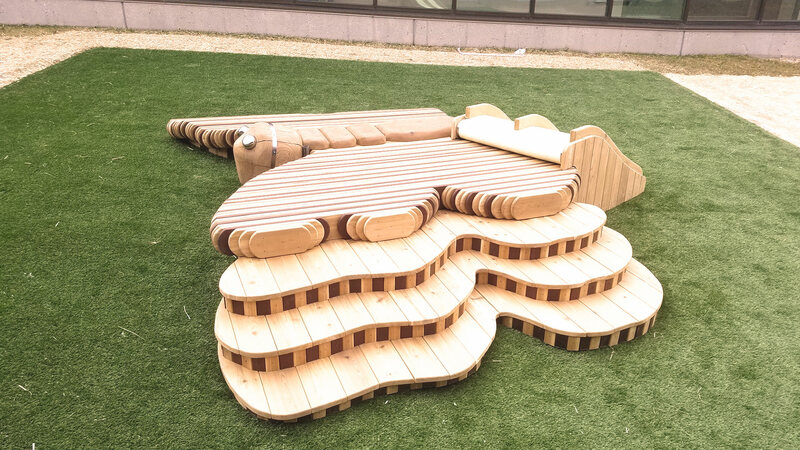 The result was a real one-of-a-kind piece, one that invites children to expand their imaginations and interact with natural materials. 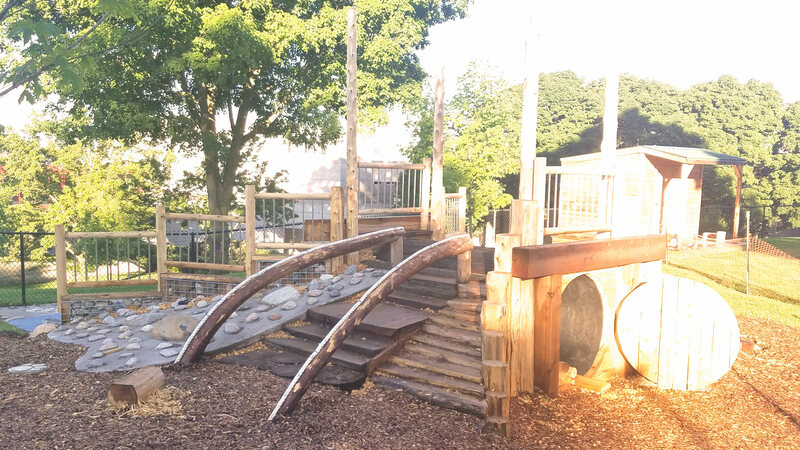 As the project continued, Zamudio’s creativity and attention to detail sparked new ideas for the cedar, including a custom-made climbing platform and toddler slide formed in the shape of a butterfly. For this structure, Zamudio cut and crafted the cedar to make the butterfly seem as created with a series of large popsicle sticks. And inside the award-winning preschool, an ecological theme is woven throughout the building, based on the textures and design elements chosen to fill out the spaces – circles throughout the building represent connection, bubbles in the river, bubbles that children love to play with, and connection with the neighborhood. Whether it be a cardboard box or abandoned telephone poles, upcycling requires the redefinition of value and waste. When we utilize our creativity and out-of-the-box thinking, old materials can become assets to a project, lessening the environmental impact and writing a richer, more unique story.